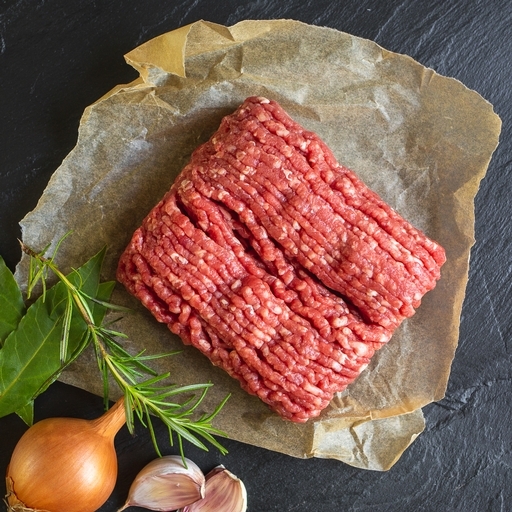 Ultra-lean fresh minced steak prepared in the Riverford butchery. We use prime quality British grass-fed beef and choose traditional breeds, which we believe give better flavour. This luscious organic mince makes crowd-pleasing Bolognese, comforting ragu and rich chilli con carne. Serves 4. Perfect for making into burgers, koftas or meatballs, for a speedy cook in a pan, under the grill or on a BBQ. Or cook slowly into a ragù, chilli or cottage pie filling. Brown well for the first 5 mins of cooking; it deepens and intensifies the flavour. Cook thoroughly before eating.